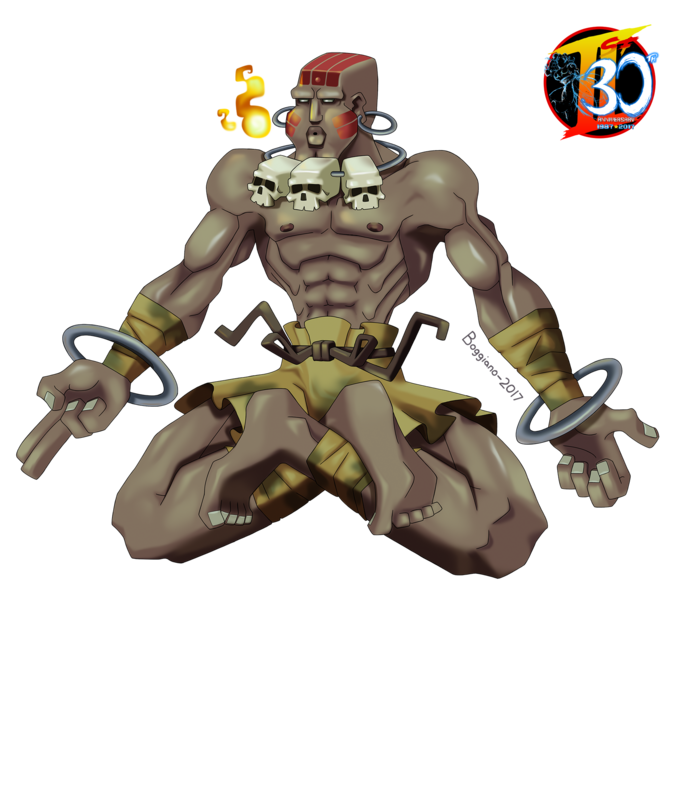 Dhalsim is one of the nineteen playable characters from the Street Fighter II series. 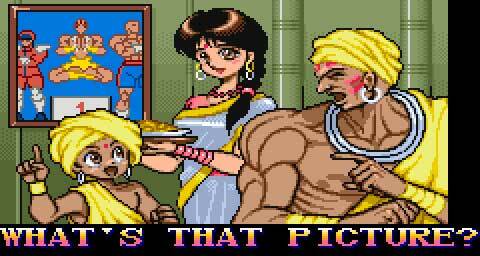 He has been among the original eight cast of characters since the first installment of Street Fighter II, and is still one of the very few characters to represent the country of India throughout the series. 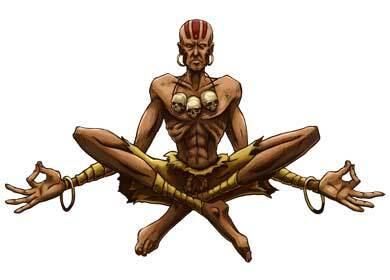 Dhalsim’s design and move set was a real head-turner back when Street Fighter II was introduced. He became the first fighter ever to introduce the “keep away” style of fighting with his extraordinary ability to stretch his arms and legs to hit opponents from a long distance. He also had the ability to glide and spiral towards opponents and even gained a teleportation ability as the series progressed. Even more notable was his ability to breath and spit fire; to which he refers to it as “Yoga Fire.” Flexible as he is; his moves do tend to leave him vulnerable if not connected properly. His speed was also greatly reduced in exchange for his amazing reach. He was best used in the hands of skilled players; as beginners found they could only keep fighters away for so long until they were overwhelmed by Dhalsim’s lack of speedy recovery. 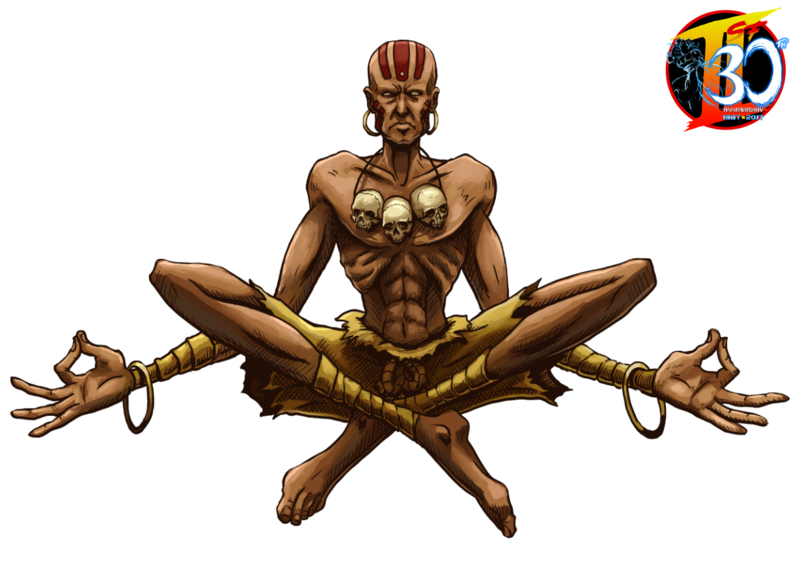 Despite his fearsome appearance with his skinny body and skull necklace; Dhalsim is in fact a very peaceful warrior with a strong spiritual side to him. No doubt his mannerisms were inspired by India’s most famous spiritual leader Mahatama Ghandi. His only reason for entering the Second World Warrior’s tournament was to earn enough money to feed his starving village in India; which he eventually accomplishes as he returns to his wife and son in his ending. He would return in many future installments of Street Fighter to fight for the oppressed and offer spiritual guidance to fighters who needed it; particularly Cammy and Sagat. His recent incarnation in Street Fighter V shows him with a beard and permanently fixed turban. Though his strangest incarnation was his 1994 live-action movie debut; where he was depicted as a Shadaloo scientist rather than a Yogi Mystic. Once more, he apparently turned Guile’s friend Charlie into Blanka. 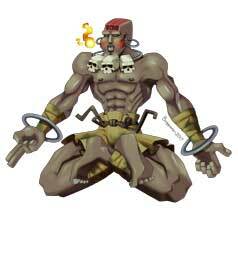 This odd version of Dhalsim would also carry over to the American animated TV series. Victor “Vf02ss” Boggiano is one of the few artists from Peru that are a part of this community. His first contribution was also Street Fighter related and for our art contest in July when games that were released in 2016 were the topic. His first contribution to our Street Fighter Anniversary showed old-school Birdie, combined with some features of his later designs. 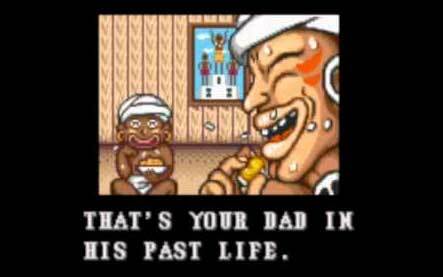 He then took on Akuma, Cammy White and finally Dhalsim for Street Fighter II. CrescentDebris is an American male artist who participated four times in our Street Fighter II tribute. He actually drew the whole roster of the classic Street Fighter II as well as his own tribute to this masterpiece that revolutionized the whole video game industry! For more of Crescent’s artworks, please visit his DA page.